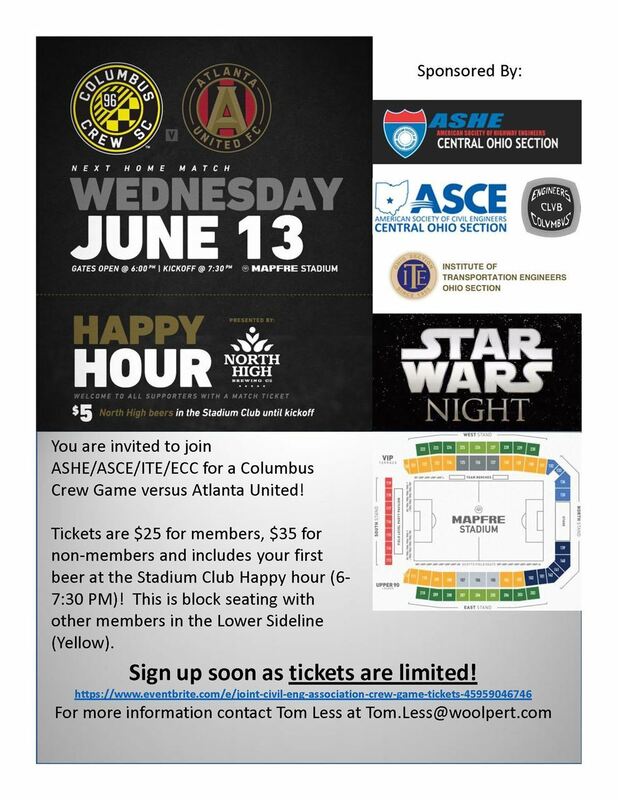 Join ASCE, ASHE, ITE and Engineers Club of Columbus June 13 to cheer on the Crew as they take on Atlanta United FC. Before the game North High Brewing will be hosting a Happy Hour in the Stadium Club. The first beer is included with your ticket, then enjoy $5 North High beers until kickoff. Additionally, it is Star Wars night at the stadium. Take photos with your favorite Star Wars character on the plaza before gates open. See the flyer below for more information. Sign up soon! Tickets are limited!